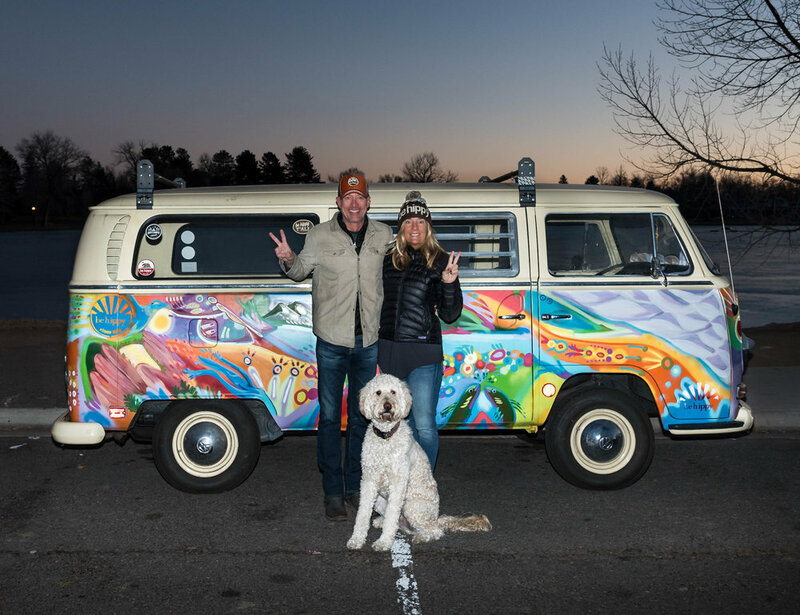 be hippy, a grassroots lifestyle brand created by founders Bart and Leigh, exemplifies a passion for music, the outdoors, traveling, fashion and living life to the fullest. All be hippy goods are designed in here in Colorado, the duo's home state, and are inspired by their love for taking the road less traveled. The company takes pride in producing unique, high quality apparel that is a reminder to themselves, and others, to choose happiness. be hippy also embraces community and giving back through being a member of 1% for the Planet. BE HIPPY promotes living an adventurous and happy life. BE HIPPY...BE HAPPY! Living in Colorado and loving the lifestyle it provides. Working for ourselves and the freedom that comes with that. We hope to encourage others to live the life they love. BE HIPPY currently has over 80,000 followers on social media and is now recognized all over the country. To date, we have shipped BE HIPPY goods to ALL 50 states. To have a positive impact and leave this world a little better than we found it. BE HIPPY is a proud member of 1% of the planet. Follow your dream. Go for it! Don't wait. If you believe, you can make anything happen. The Old School Pom Beanie 'cause it's winter hat season! We introduced the brand three years ago.